High selectivity and low impedance are preferred properties for neural microelectrodes. The localized and controlled release of drugs from the nanostructured coatings may reduce brain tissue responses for chronic recordings. Here, polypyrrole (PPy) nanotube was chemically synthesized inside an alumina template. The formation of nanotube was confirmed by scanning electron microscopy (SEM) of the cross-section of templates. Then, PPy nanotube was loaded with dexamethasone (Dex) as a dopant during the polymerization process up to 93%. Successful loading of Dex molecules into the PPy nanotube was verified by the Fourier-transform infrared spectroscopy (FTIR). Gold nanoparticles were synthesized via the reduction of Au3+ ions on the surface of PPy nanotubes and were confirmed by transmission electron microscopy (TEM). The anodic electrophoretic deposition (EPD) method was successfully applied for deposition of 0.1 mg of the synthesized nanostructures on the surface of neural microelectrode in 20 min. 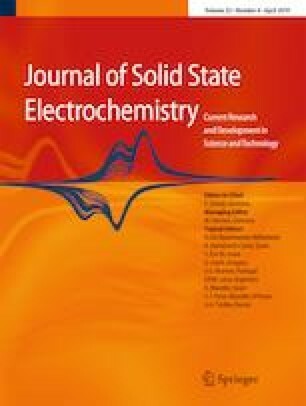 Electrochemical impedance spectroscopy (EIS) showed a tenfold decrease in the impedance of the coated microelectrode as compared with the bare one. In vitro studies on U87MG cells demonstrated that the release of Dex from the coating reduced effectively the number of reactive astrocytes without any toxic side effects on SK-NMC and PC12 neuronal cells. Results also indicated that the release of Dex from the carrier can only occur by the electrical stimulation.